I'll have to try those settings tomorrow or the next day. Thanks! Let me know how it goes. It’s basically just under 12:00 on the first 3. And you really just turn the regeneration until it feels right. I can get a pretty good HAIL intro sound when lowering the volume knob. I want the Unchained chugs (without using the EVH button - I hate that sound for some reason? ), or the Mean Street part where he rubs his hand across the strings right before Dave starts the first verse. Hell, even those parts in Little Dreamer from the '07 tour, where he accents a few chords in the verses. I'll give the settings a go when I have a bit of free time, and it's not 1am! You should be able to get that with my settings. I’ll do those slides down the strings and such and it works well for that. 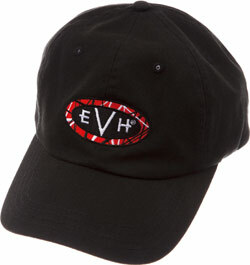 I don’t like the EVH button either, which I think is basically my settings with the regeneration turned up really high. That knob is key.